Ecovillages are intentional communities whose goal is to become more socially, economically and ecologically sustainable. Most range from a population of 50 to 150 individuals, although some are smaller, and larger ecovillages of up to 2,000 individuals exist as networks of smaller subcommunities. Certain ecovillages have grown by the addition of individuals, families, or other small groups who are not necessarily members settling on the periphery of the ecovillage and effectively participating in the ecovillage community. Ecovillagers are united by shared ecological, social-economic and cultural-spiritual values. Concretely, ecovillagers seek alternatives to ecologically destructive electrical, water, transportation, and waste-treatment systems, as well as the larger social systems that mirror and support them. Many see the breakdown of traditional forms of community, wasteful consumerist lifestyles, the destruction of natural habitat, urban sprawl, factory farming, and over-reliance on fossil fuels as trends that must be changed to avert ecological disaster and create richer and more fulfilling ways of life. Ecovillages offer small-scale communities with minimal ecological impact or regenerative impacts as an alternative. However, such communities often cooperate with peer villages in networks of their own (see Global Ecovillage Network for an example). This model of collective action is similar to that of Ten Thousand Villages, which supports the fair trade of goods worldwide. "human-scale full-featured settlement in which human activities are harmlessly integrated into the natural world in a way that is supportive of healthy human development, and can be successfully continued into the indefinite future." In recent years, Gilman has stated that he would also add the criterion that an ecovillage must have multiple centres of initiative. Kosha Joubert, President of the Global Ecovillage Network, more recently has defined an Ecovillage as an intentional or traditional community consciously designed by its inhabitants, in which people consciously value what they have and integrate this with innovative technologies to make their lives more sustainable, and the whole process is owned by the people living there. The aim is to regenerate social and natural environments. In this view, achieving sustainability is not enough; it is vital also to regenerate the social and environmental fabric of life, and across all four dimensions of sustainability: social, environmental, economic and cultural. Eco-villages have developed in recent years as technology has improved so they have more sophisticated structures as noted by Baydoun, M. 2013. The modern-day desire for community was most notably characterized by the communal movement of the 1960s and 1970s, which became more focused and organized in the cohousing and related alternative-community movements of the mid-1980s. Then, in 1991, Robert Gilman and Diane Gilman co-authored a germinal study called "Ecovillages and Sustainable Communities" for Gaia Trust, in which the ecological and communitarian themes were brought together. The ecovillage movement began to coalesce at the annual autumn conference of Findhorn, in Scotland, in 1995. The conference was called: "Ecovillages and Sustainable Communities", and conference organizers turned away hundreds of applicants. According to Ross Jackson, "somehow they had struck a chord that resonated far and wide. The word 'ecovillage'... thus became part of the language of the Cultural Creatives." After that conference, many intentional communities, including Findhorn, began calling themselves "ecovillages", giving birth to a new movement. The Global Ecovillage Network, formed by a group of about 25 people from various countries who had attended the Findhorn conference, crystallized the event by linking hundreds of small projects from around the world, who had with similar goals but had formerly operated without knowledge of each other. Gaia Trust, Denmark, agreed to fund the network for its first five years. Today, there are self-identified ecovillages in over 70 countries on six continents. Since the 1995 conference a number of the early members of the Global Ecovillage Network have tried other approaches to eco-village building in an attempt to build settlements that would be attractive to mainstream culture in order to make sustainable development more generally accepted. One of these with some degree of success is Living Villages and The Wintles where eco-houses are arranged so that social connectivity is maximised and residents have shared food growing areas, woodland and animal husbandry for greater sustainability. The principles on which ecovillages rely can be applied to urban and rural settings, as well as to developing and developed countries. Advocates seek a sustainable lifestyle (for example, of voluntary simplicity) for inhabitants with a minimum of trade outside the local area, or ecoregion. Many advocates also seek independence from existing infrastructures, although others, particularly in more urban settings, pursue more integration with existing infrastructure. Rural ecovillages are usually based on organic farming, permaculture and other approaches which promote ecosystem function and biodiversity. Ecovillages, whether urban or rural, tend to integrate community and ecological values within a principle-based approach to sustainability, such as permaculture design. They are not government-sponsored projects, but grassroots initiatives. Their residents value and practice community living. Their residents are not overly dependent on government, corporate or other centralized sources for water, food, shelter, power and other basic necessities. Rather, they attempt to provide these resources themselves. Their residents have a strong sense of shared values, often characterized in spiritual terms. They often serve as research and demonstration sites, offering educational experiences for others. The imperative for alternatives to radically inefficient energy-use patterns, in particular automobile-enabled suburban sprawl, was brought into focus by the energy crises of the 1970s. The term "eco-village" was introduced by Georgia Institute of Technology Professor George Ramsey in a 1978 address, "Passive Energy Applications for the Built Environment", to the First World Energy Conference of the Association of Energy Engineers, to describe small-scale, car-free, close-in developments, including suburban infill, arguing that "the great energy waste in the United States is not in its technology; it is in its lifestyle and concept of living." Ramsey's article includes a sketch for a "self-sufficient pedestrian solar village" by one of his students that looks very similar to eco-villages today. Effective government is important to Eco-villages. It provides education charity for promotion in sustainable lifestyle (Cunningham and Wearing, 2013). While the first generation of ecovillagers tended to adopt consensus decision-making as a governance method, some difficulties with consensus as an everyday decision-making method emerged: it can be extremely time-intensive, and decisions too often could be blocked by a few intransigent members. More recently many ecovillages have moved toward sociocracy and related alternative decision-making methods. Also, ecovillages look for alternative government which emphasis on deeper connections with ecology than economy. Wikimedia Commons has media related to Ecovillage. ↑ Gilman, Robert (Summer, 1991). "The Eco-village Challenge". In Context. Retrieved on: 2008-04-09. ↑ Robert Gilman on "Multiple Centers of Initiative." Ecovillages Newsletter. Retrieved on: 2011-11-09. ↑ Ecovillage Conference 2012. Retrieved on 2012-12-05. 1 2 Jackson, Ross (Summer, 2004). "The Ecovillage Movement." Permaculture Magazine 40. Retrieved on: 2011-08-11. 1 2 Taggart, Jonathan (Nov-Dec, 2009). Inside an ecovillage. bNet - CBS Interactive Business Network. Retrieved on: 2011-08-11. 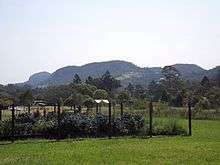 ↑ https://socialsciences.arts.unsw.edu.au/tsw/D09TheSigOfTheGEM.html Ted Trainer on ecovillages. Christian, Diana L. (ed.) The Ecovillage Movement Today. Ecovillage Newsletter. Gilman, Robert (ed.) Living Together: Sustainable Community Development. In Context.